The Kuklapolitan Webpage recently had the great pleasure of interviewing Lewis “Gommy” Gomavitz, KFO’s director from 1947 to 1957. 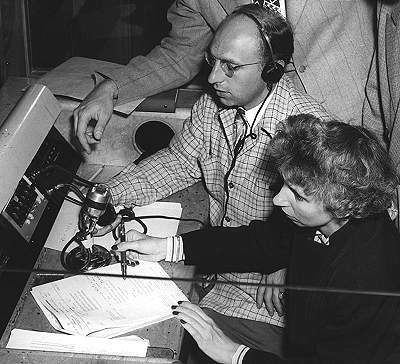 This television pioneer was concerned that he wouldn’t be able to remember events that occurred over fifty years ago, but once he got started, we spoke for over 2½ hours! Gommy also graciously loaned many of his personal photos - so many that it was only possible to include a few of them on this page, so be sure and check out "The Gommy Archives" for a rare glimpse behind the scenes of the early days of television. After KFO ended its first run in 1957, Gommy went to Los Angeles and continued directing, working with Dinah Shore, directing shows like Sanford and Son, and working for NASA on theThree Men To The Moon project. But it became clear in our talk that the work he is proudest of is being KFO’s director. Gommy passed away on Dec. 1, 2010. I'm told that he saw the DVD of the kinescopes just a few days before that, so he knew that his work was finally available. In the Navy. I got into radar school, and all of us had to have code names - so “Gomavitz” became “Gommy” right away. Did you meet Capt. Bill Eddy in the Navy? Yes, I had trained under him in radar school and went with him to Chicago when he began an experimental TV station in the Balaban & Katz building. 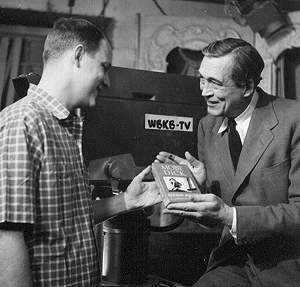 He was determined to make television a reality, and after the war they got certified as the first broadcast station in Chicago: WBKB. I started as the studio manager, working on all kinds of productions: 15-minute musical vignettes, dramatic scenes, legit theater - that sort of thing. Had you worked in the theater before? Before the war, I was a stage manager with Billy Rose’s show and at the Hurricane Club in New York. And in the Navy, I was tapped to stage a big Christmas show, because I had that background. 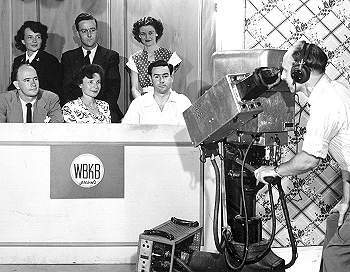 So all that experience came in handy once we began putting on shows at WBKB. And how did Kukla, Fran and Ollie start? Well, one day Frank Folsom of RCA came down to the station with his henchmen, and they wanted Capt. Eddy to do a show with Burr - something family-oriented that would sell TV sets. 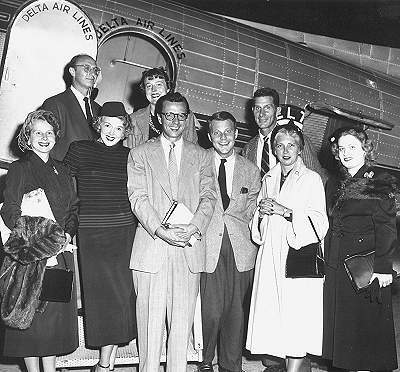 They were sold on Burr from his work at a big RCA sales meeting in Bermuda, and from his shows at the RCA exhibit at the 1939 New York World’s Fair. That was a Wednesday, and Burr came in the next day. We sat down - Burr, me, Capt. 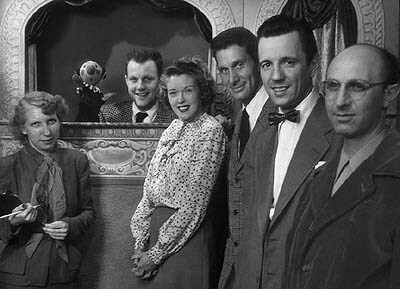 Eddy, Buelah Zachary, and the RCA execs - and tried to come up with a show. They wanted Burr to do it all - wanted him to come out front and do the commercials, even. But Burr wanted someone else out front, as he had done at the World’s Fair. So we began tossing names around. This was in 1947, and there were really only a few people on the air in those days: Joe Wilson (a baseball announcer), Eddie Simon (who did “man on the street” interviews), and a wrestling know-it-all, none of whom Burr liked. He wanted a woman. Well, Don McNeill of “The Breakfast Club” had just been on one of my shows, and I had always been a fan of Fran Allison from that show, so I suggested her. Burr bought the idea right away - he had done war bond shows with her. So Bill called Fran and we all got together Friday. We talked about what type of show it should be, and mapped out a weeks’ worth of shows. Then, Capt. Eddy asks Burr when he wants to start and Burr says, “Monday.” So, they brought in Burr’s traveling stage on Saturday, lit it on Sunday, and we went on the air on Monday! 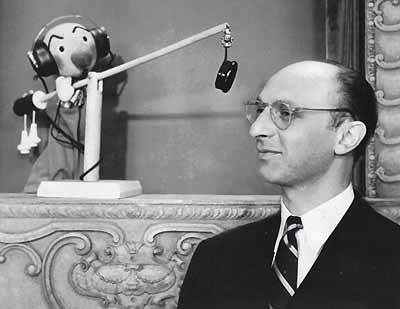 Of course, none of the shows we had plotted out were ever used, because once Kukla and Ollie and Fran began talking, the material just gushed forth. What were those first shows like? They were an hour long, divided into four parts: first, the kids who had birthdays were brought up from the audience to talk with Kukla and Ollie. Then, we’d do 15 minutes with animals brought in by a local trainer, 15 minutes with other guests, and finally 15 minutes of Fran just talking to Kukla and Ollie. We called it Junior Jamboree since at that time it was geared mainly towards children. Actually, on that very first show, Beulah was the director and I was the producer. Beulah had joined the station about the same time I did. The plan was for her to direct on two days, while I produced, and then we would switch roles and I would direct on three days. But after the first show, she was completely frazzled. And she said, “I can’t do this, it’s too nerve-wracking. Gommy, you direct it. And God help you!" It was crazy. The control room was so tiny - just big enough for an audio man, an engineer, myself and Beulah. It was hot and claustrophobic, and the studio wasn’t much bigger. But it worked. And soon after the show started, we got into a rhythm - many a time Burr would either read my mind or I would read his. I would somehow know what move he was going to make or what Fran would do next - it was just a love affair. As director, I was no-nonsense - the show had to be technically perfect every time it went out on the air. But at the same time, we had fun - we were always laughing in the booth, reacting to Burr and Fran. They were great times - we were all young, working in a young medium and making up the rules as we went along. I remember riding the El to the station with Burr those first few months. 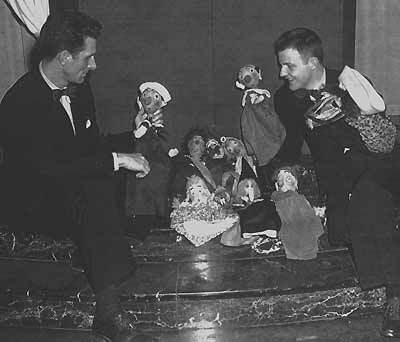 He would bring the “kids” (he never called them puppets), for the show that day in a brown paper bag - just stuff them in a bag and off we’d go. I’ve read that Fran never wanted to see the kids when they were packed away. She avoided Burr when he was making repairs on one of them. I recall once, Burr made a new Kukla for a road trip to D.C. Fran seemed a little sad as we started out, and Burr asked her why. "I was just thinking," she said. "It's kind of a shame that the old Kukla didn't get to make this trip." That makes me think of another time - the moment when Burr knew that Fran "believed." It was always stifling hot in the studio and we were doing a winter bit with Ollie wearing a scarf and a wool hat. We went to commercial and the microphones were turned off, and Fran turned to Ollie and said, "Aren't you dying in that scarf?" It was logical enough under the circumstances. Everyone was dying of heat in that studio, why should Ollie be any different? Did everyone believe that strongly in the characters? Oh, absolutely. If I had anything to say, I said it to Kukla as Kukla. That may sound silly to you, but it wasn’t to us. We had a new announcer once, and Ollie came up and the announcer said something about him being an alligator. An alligator! Well, Burr’s lights went out - and the next day that announcer was not there. Tell me about the rest of the crew. Well, you had to be pretty tough to do live television. 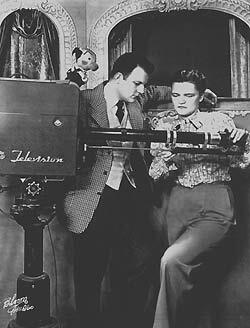 You know, it's interesting that years before “women's lib” came along, there were many women on our crew: grips, boom operators, camera people. Capt. Eddy had a lot to do with that. He had gotten used to working with women during the war, when they were a large part of the work force. So after the war, the crews were usually at least 50% female, and often more than that. They did everything on the set - even the "muscle" work that was usually reserved for the guys. Like Rae Stewart - she was not only a great camera woman, she was strong as an ox. When we did live remotes, she would carry these heavy cameras to the very top of the bleachers at Wrigley Field. Those first cameras were hand-built, weren’t they? So I said, “Then get the hell back on camera!” Everyone thought we had killed her! When did Joe Lockwood join the show? Joe was with Burr from the first day I ever saw Burr. They were very close friends. Joe used to live with Burr and his parents. In fact, he decorated Burr's coach house - the furniture, everything. Great, great taste. He worked right along side Burr when we were on the air. Burr would take a puppet off that had to be dressed and Joe would dress him. He was the only one allowed backstage. Nobody else - just Joe and Burr. What prompted the name change to Kukla, Fran and Ollie? When NBC bought the show. They had 6 stations linked on the Midwest network, and they paid Balaban & Katz a good deal of money to take the show over to WNBQ. We changed the name because we knew that by then a lot of adults were watching. And after we got on the network, the show really found an adult audience, what with all the NBC and RCA publicity. Was the studio audience adults or kids? Oh, adults. 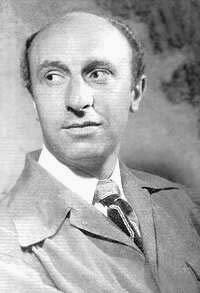 And usually VIPs: actors and directors who were performing in Chicago, people in politics, opera - I would look out from the control booth, and see people like Bess and Margaret Truman, Eleanor Roosevelt, Yul Brynner, Judy Garland, Ethel Merman, Arturo Toscanini, Mary Martin, John Huston, Agnes DeMille. They all loved the show but some were particularly avid fans. 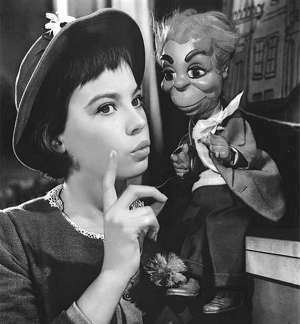 Lena Horne, for instance - she was just crazy about Buelah Witch. Tell me about a typical day on the show. Well, we were a really well-knit unit. Everyone got along, everyone loved the show . . . there was never any animosity. We’d start getting in around 2 - Burr, Fran, Jack, myself, Beulah - and sit down to start tossing around ideas for that day’s show. I contributed, Beulah contributed, but it was Burr and Fran and Jack (Fascinato, the music director) who really put the show together. Jack was a bigger part of it than most people think. I’d say 90% of the shows were created by those three. After we had an idea of that show’s outline, Joe Lockwood would leave to get the costumes ready, and Jack and Fran and Burr would rehearse the songs. I’d leave to make sure everything was set in the studio: lights, audio, etc. At first it was just Jack at the piano, but later we added the NBC orchestra, and every mike had to be set perfectly. So we had an idea of the show we wanted to do, but I can’t tell you how may times we started one show, and then they’d branch off on another subject completely. Fran would follow Burr’s lead, or he would follow hers - and many, many shows we didn’t know what was going to happen. Especially when you had guests, right? Sometimes we didn’t know who was going to be on - Kukla would just call someone up from the audience at the spur of the moment. I guess the most outrageous moment involved Tallulah Bankhead. She was a huge fan of the show - Doloras, Ollie’s cousin, was even named after Tallulah’s niece - and she would always come to see the show if we were in New York. 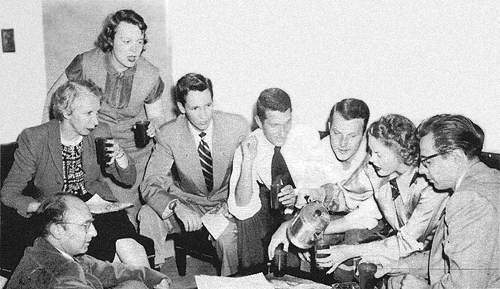 Frank Folsom gave her the number for his private line and when we were out of town, she would call after the show and talk to Burr or Fran or Kukla or Ollie, sometimes for a solid hour. Anyhow, we were playing at the Johnny Victor Theater in New York and Tallulah never, ever missed coming down to the show every day at 7 o'clock, when we went on the air live. They always saved a place for her in the front row. But one day, we were nearing airtime and she hadn't shown up. Because we were live, of course we couldn't wait for anybody. Well, just as we went on the air, she burst into the studio dressed in a gorgeous mink coat. Kukla saw her and called out, “Tallu, you’re late!” She said, “I know, I'm sorry - I forgot about the show!” Then Ollie said, “There aren't any more seats, but come down and sit in front of the stage.” Tallulah said, “I’m fine back here,” but Kukla insisted, so she came down front. Now, remember the lights in those days made the studio terribly hot, so eventually Kukla glanced down and said, "Tallu, you must be miserable in that coat. Why don't you take it off?" She said, "I can't," and Kukla said, "Why not?" Without saying a word, she opened her coat to show why not. She was stark naked - just the mink and her shoes! Ollie disappeared from the stage immediately. 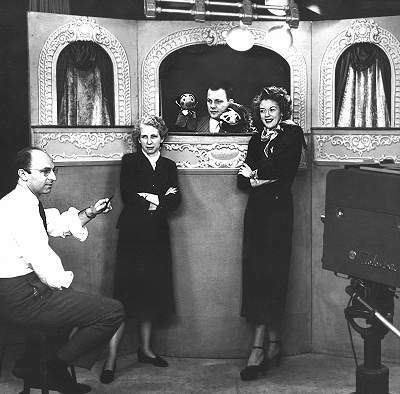 But Kukla just stood there, sort of lost in his thoughts, and finally said, “Okay, if you want to wear your coat, wear your coat.” Those of us in the control room didn’t know what had happened, the TV audience didn’t know, but Kukla and Ollie knew! 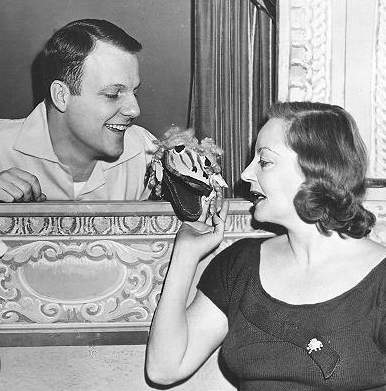 Tallulah told Burr later that back at her hotel, she had realized the show was starting and she wasn’t even dressed. So she just grabbed her coat, put on her shoes and rushed downstairs to hail a cab. Two or three minutes later she was in the studio, giving us all a memory that would last a lifetime. Did the show travel to New York often? We traveled everywhere often! It seems like every month we were off somewhere: New York, Washington, D.C., Atlanta, Boston, Cincinnati, Kansas City, Los Angeles. When we went to L.A., we had our own special car, our own Pullman. We were bigshots. We stayed at the Beverly Hills Hotel. He brought his mother and father, everyone - even the secretaries, Cathy and Mary. They were fun road trips. Fran, Jack and I were a trio, and Burr would sit with Beulah. They were inseparable. She was Burr's guiding light all through his early years - very instrumental in making many, many decisions for him. She made all the contacts, she was the go-between with the sponsors and whatnot. She was a tough cookie. But I don't know how far-sighted she was, because she burned an awful lot of bridges with prospective sponsors and, come to think of it, I think she was also instrumental in having Burr be so non-commercial in the marketing of the show. Like never selling puppets of the Kuklapolitans. 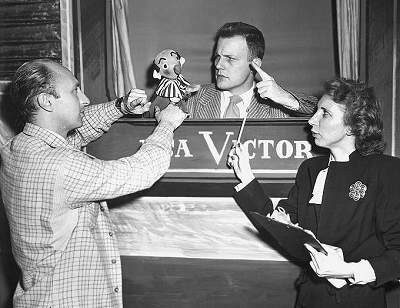 Kukla was a real human being to Burr, and he could never think of Kukla being a puppet on somebody else's hand. And Beulah supported him in that. 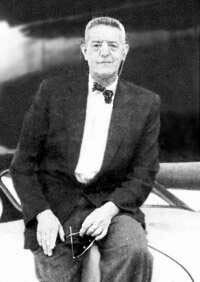 Then Burr was approached by Paul Gallico, who had written a short story based on KFO for The Saturday Evening Post ("The Man Who Hated People"). It was eventually published as a book, "Love of Seven Dolls, " dedicated to Burr and Fran. Paul wanted Burr and Kukla & Ollie to star in the movie version with Leslie Caron, so he and Burr and Beulah had dinner to try to work something out. 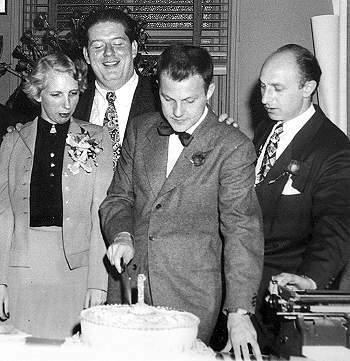 But they couldn't get together on money, and Burr felt that the part for Kukla & Ollie wasn't really that great, and that his part wasn’t large enough or integrated enough in the overall story line. So he backed out. But the movie went on to be made and it was a good movie, called "Lili." Buelah, I think advised Burr not to do the movie. As a result they didn't do it. Period. Her death in 1958 must have been a blow. It was more than a blow. We had a family and the loss of Beulah was really jarring. Burr took it extremely hard. I mean, she was his right and left hand. He went on to do the show they had been planning on Broadway, but it wasn't the same without her. How do you look back on your days with the show? With tremendous affection. All those years, whenever we traveled, I was the guardian of the Kuklapolitans - Burr trusted me where he wouldn’t trust anyone else. And I made sure that they got where they were going with no mishaps. I guess that's what I did with the show, too. It was a heaven-sent joy to walk hand in hand with that great family.